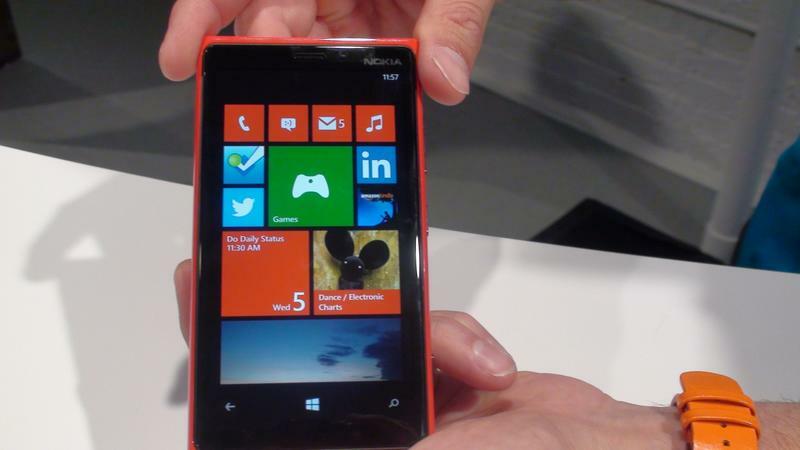 Nokia Lumia 920 Windows Phone 8 Smartphone Hands-On! Today in New York City, Nokia and Windows teamed up for a press conference to announce the Lumia 920, which will run on Microsoft’s latest Windows Phone 8 operating system. Nokia claims that the Lumia 920 will offer the best camera of any smartphone available… save for the 808 PureView, of course. With PureView camera, Nokia is looking to bring into practice the idea of using your smart phone to replace the point-and-shoot. And looking at the quality of the pictures, I can see this happening. 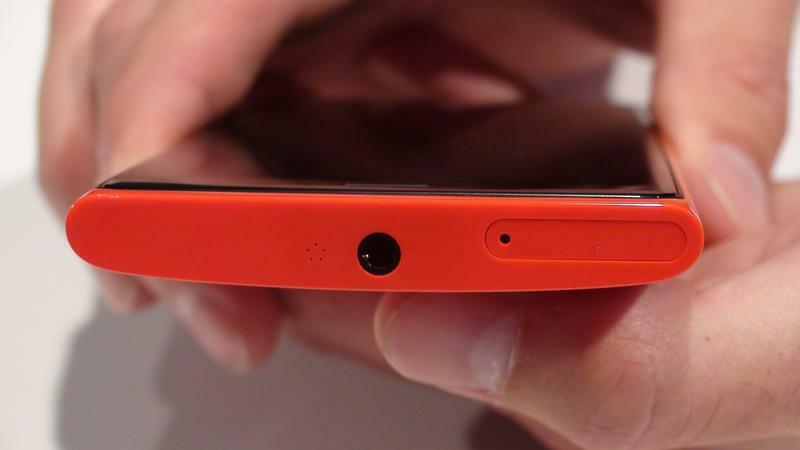 The back camera is 8.7-megapixels and there’s also a 1.2-megapixel camera on the front. The Lumia 920 has Optical Image Stabilization, too, as well as a floating lens that allows the shutter to stay open longer, which prevents image blurring. Nokia also increased the aperture of the lens to f/2.0 to allow for more light. With new features such as pinch zoom, object remover – which got a round of applause when demoed – and direct links to all of the photo apps in Windows Phone 8, such as CNN iReport or Blink, it makes for an excellent camera and video recorder. The PureMotion HD Plus display is also remarkable. The Lumia 920 is a wonderfully manipulated 4.5-inch curved glass display with an improved LCD screen that is sensitive enough to be controlled by either your fingernail or a ski glove. It is also the brightest smart phone to date (25% brighter than the closest competitor), Nokia said, with response to sunlight glare. It has 2.5 times the pixel speeds of other smart phones and higher than a 720p resolution. The Lumia 920 also packs a 2,000 mAh battery, which Nokia said should last all day. It also comes with dual-core Qualcomm Snapdragon S4 processor clocked at 1.5GHz. That’s not all! The Lumia 920 also introduces wireless charging technology, and Nokia said it will provide charging stations on Fatboy and JBL speakers and will also sell various stands and plates. Adding to the integrated suite of location services, which already includes Maps, Drive, and Travel, Nokia is introducing City Lens; a street view of businesses such as restaurants and shops through the display directly over their position on the city block. With one touch you can find reviews, prices and menus of places you may not have noticed when simply walking down the street. Overall, this phone looks quite good. 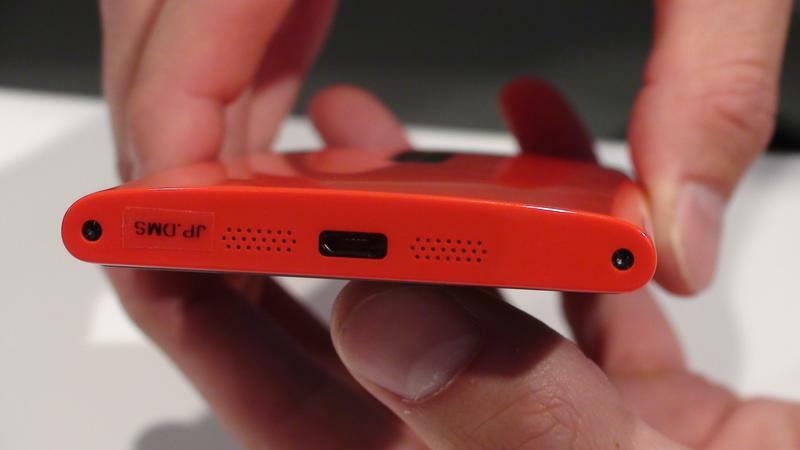 It reminds us a bit of the Lumia 900, just with enhanced hardware specs in nearly every way. We also like that it wasn’t overly large, but that Windows Phone 8 still makes it easy to view all of our information in one place. 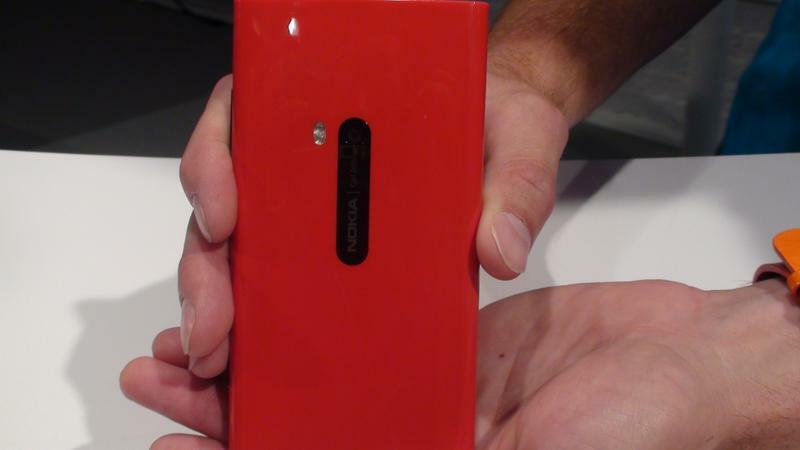 Nokia did not provide pricing, carrier partners or a release date for the Lumia 920.